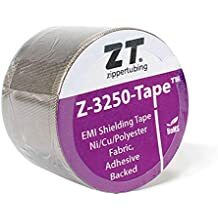 Z Track Fep - Pressure Track - Closure Options - Materials - ZT | Zippertubing Co.
For diameters up through 4.0"
The Z-Track (FEP) is an extruded pressure track made from clear, high performance FEP Teflon material that is extremely chemical and temperature resistant. 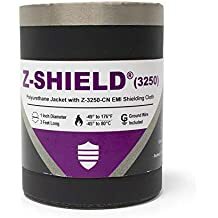 When combined with Zippertubing's jacketing materials the Z-Track (FEP) can be built to accommodate round, flat, rectangular applications.Z-Track-FEP also offers excellent weatherability, fungus resistance, fluid resistance and outgases very little under vacuum conditions. NOTE: This product is produced to meet specific customer needs. Please contact ZT customer service at 480-285-3990 for lead time and cost. No samples are available at this time.